In a scathing critique in the Lancet's special China-themed issue, health economists from Oxford and Harvard say that the Xi Jinping government's recent swing to favouring private sector involvement in the health system will be a retrograde step with 'dismal' consequences for health in China. Professor Winnie Yip and Professor William Hsiao say the new target of giving private hospitals a 20% market share by 2015 is misguided and will promote wasteful and inequitable care. And most importantly, it will do little to improve China's already rotten public hospital system, which suffers from the worst of both words - state-controlled but with a user-pays private model of financing. Their conclusion is that if the private hospital system continues: "population health outcomes would suffer; health-care expenditures would escalate, with patients bearing increasing costs; and a two-tiered system would emerge in which access and quality of care are decided by ability to pay." They say China made a good start to health reform with the landmark 2009 decision to introduce universal and affordable public health insurance cover for both rural and urban residents. However they warn that the limited improvements achieved so far will be negated if the privatisation of an already profit-driven public hospital sector goes ahead. "Because physician staff are the residual claimants of profits in public hospitals, they are de facto shareholders of the public hospitals. Hence, public hospitals have neither the motivation nor the incentive to integrate care with primary health-care providers or make treatment decisions based on cost-effectiveness or population health maximisation criteria." They warn that adding private hospitals into this already toxic situation will create even more problems as state-owned for-profit hospitals enter a "medical arms race" with private hospitals to provide more services at higher cost to patients - especially as private hospitals are already being planned by pharma companies and medical device companies. 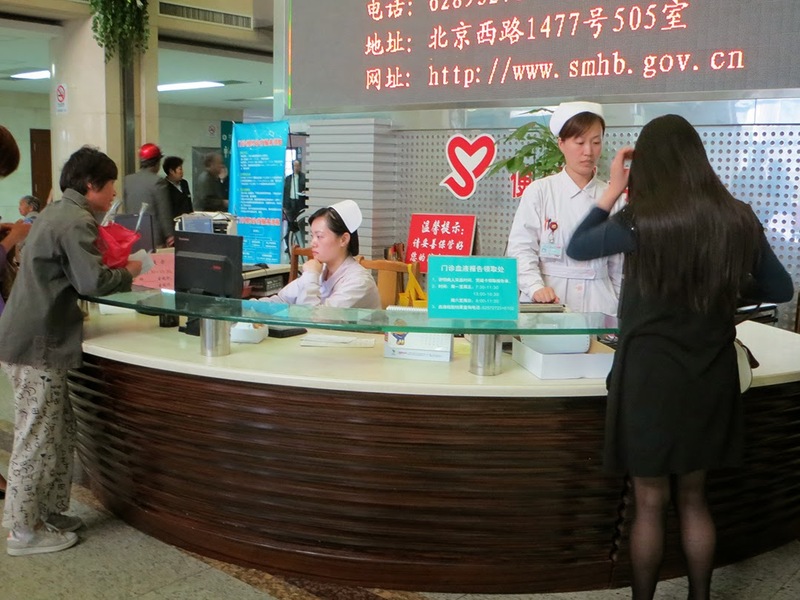 "Overall, our assessment suggests that China's prospect of provision of affordable and equitable access to health care with a primary health-care-centred integrated delivery model approach would be relatively dismal. The for-profit motive of large public hospitals would result in escalation of health-care cost, inefficient use of pharmaceutical and high-tech diagnostic tests, and an absence of incentives for public hospitals to integrate care with primary health-care facilities. Entrance of private investment will further exacerbate these trends."